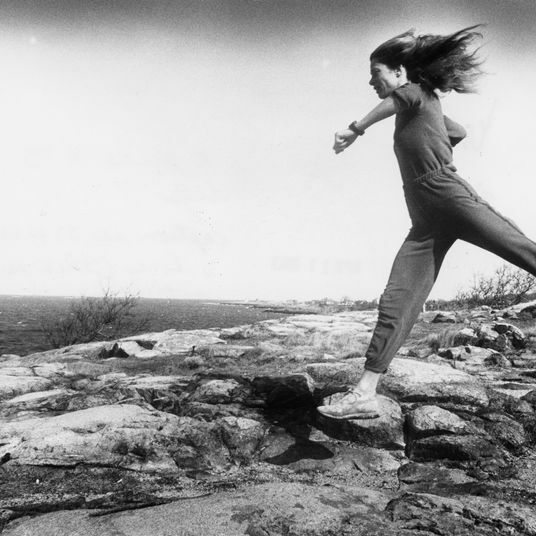 East Coast weather reports often pose a considerable wardrobe challenge: How does one get dressed for a combination of constant rain showers and warm temperatures and high humidity? 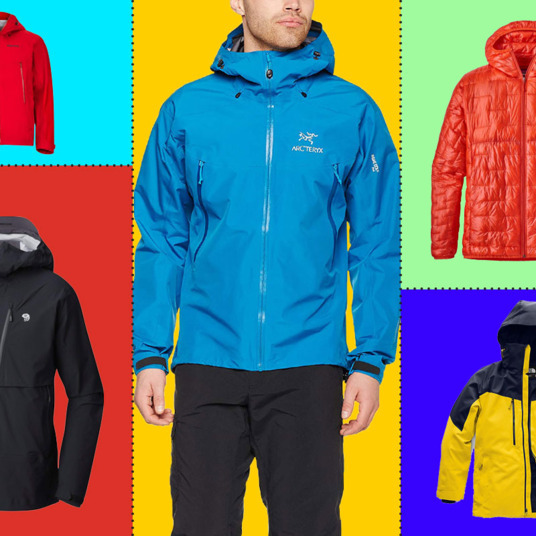 The weatherproof gear you already own might be too insulated and plasticky for the mugginess ahead. 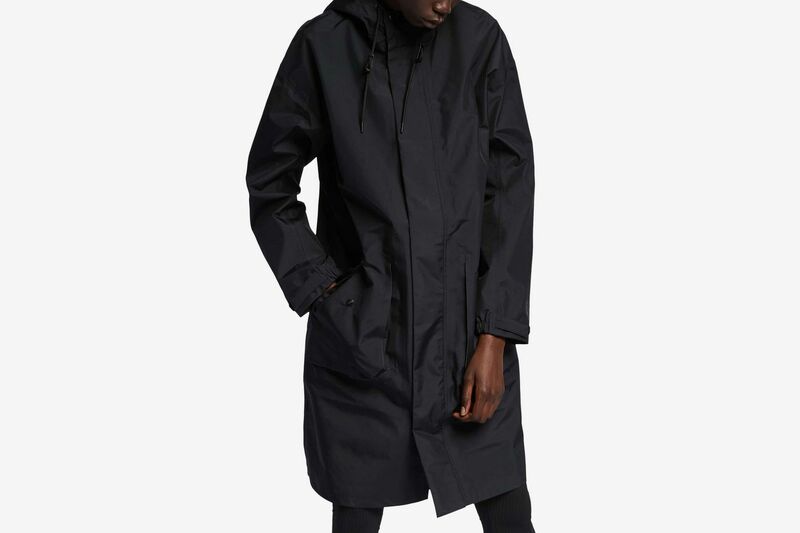 That means some standbys like Stutterheim are out, as are the Vetements rain jackets, if you went there. 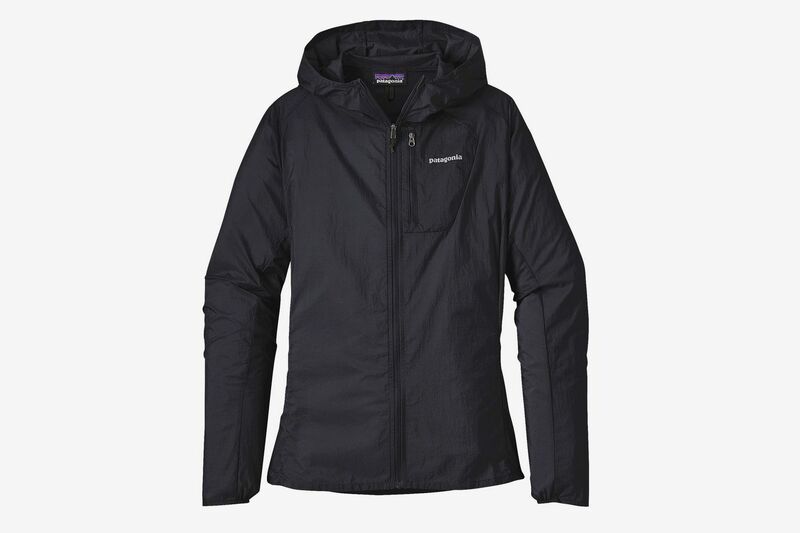 On the other hand, that trusty REI performance shell might be great at a campsite, but too rugged for a business lunch. 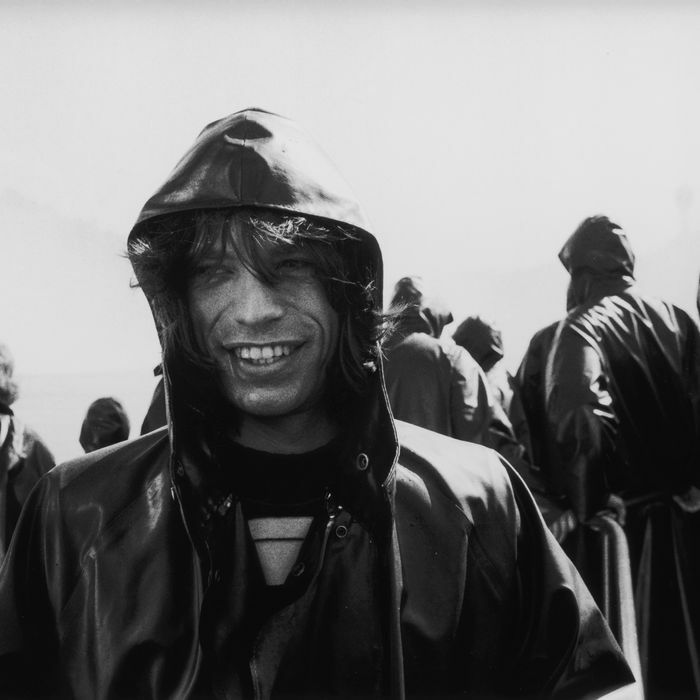 Same for your trusty poncho. 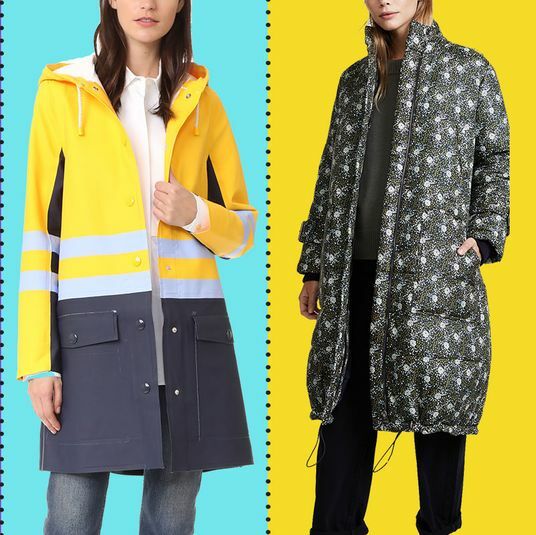 To sort through this conundrum, we asked 12 fashion directors, editors, boutique owners, stylists, and style writers about the rain gear they rely on for springtime showers. 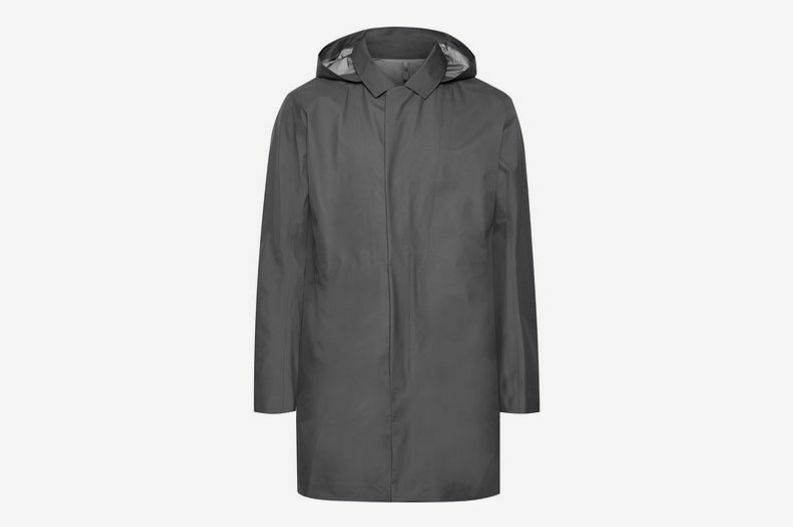 Below, a taxonomy of raincoats, for men, women, and in unisex styles, that won’t make you sweat. 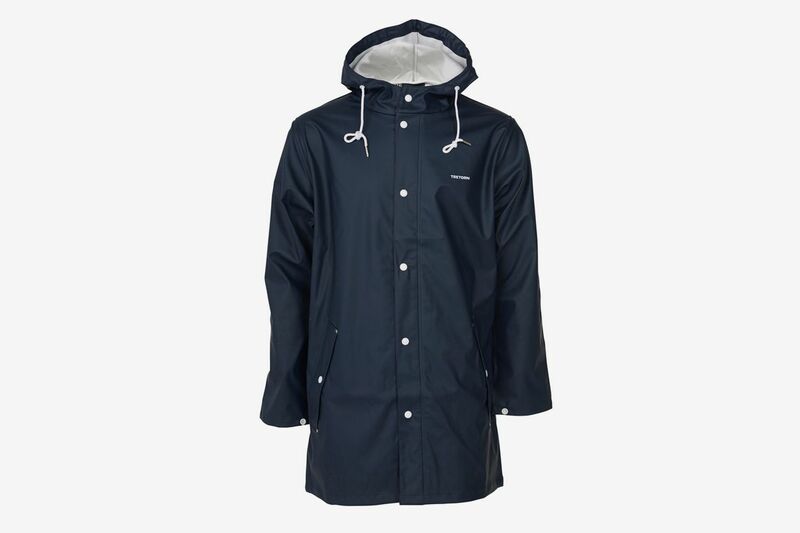 “I’m actually not someone who keeps rain jackets standing by at all times, but if it’s around, I will always turn to my navy Tretorn to keep me dry,” says Eddie Roche, deputy editor at Daily Front Row, of this nautical navy style with white buttons and toggles. 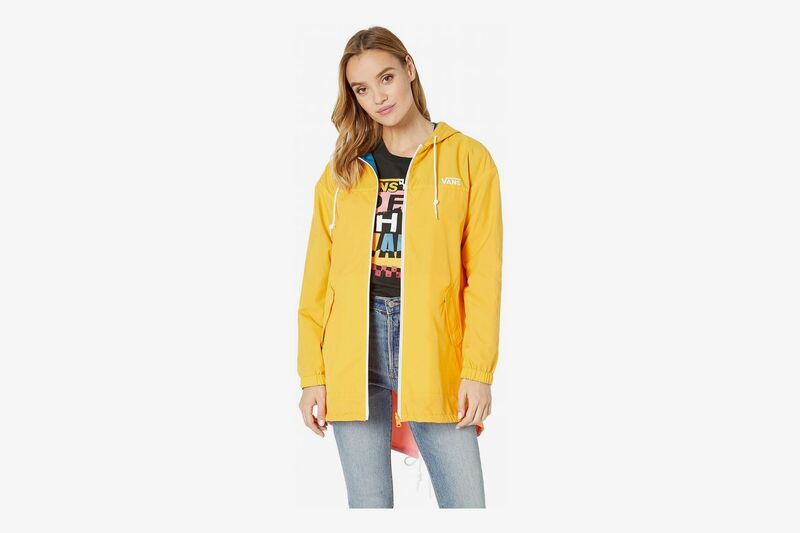 “It’s a cute look and does the job.” Tretorn’s jacket is PVC-free, meaning it should have better breathability than other rubberized slickers. 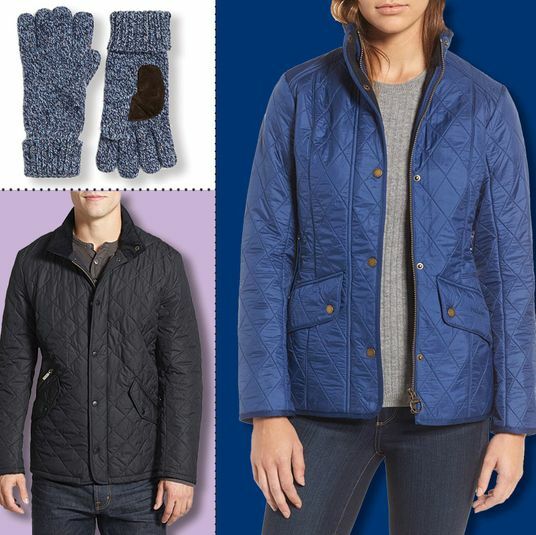 While sizing is limited for the navy blue, it is also available in more sizes in forest green and bright yellow. 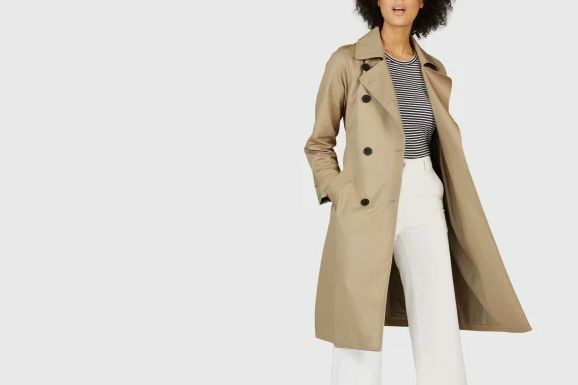 Many of the parkas featured in this list could work for men or women, but trench coats have a more specific, tailored cut. 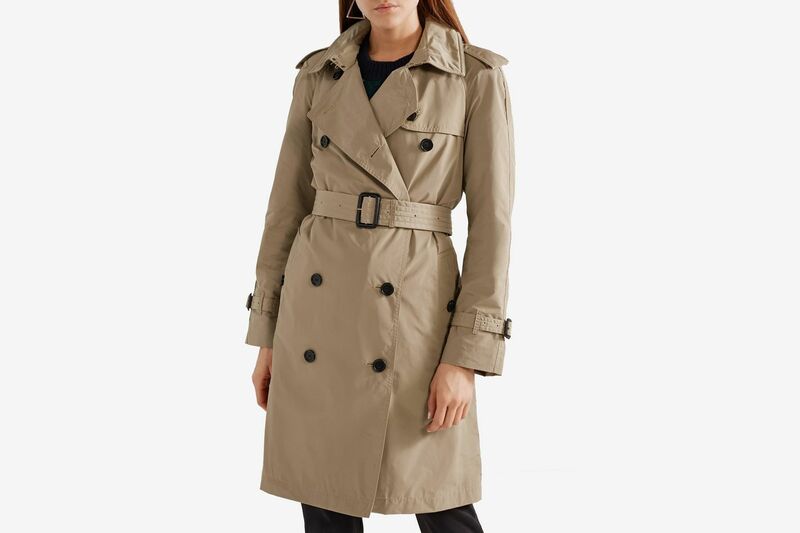 This one from Banana Republic is water-resistant and mid-weight, so you won’t be sweltering in warmer temperatures. 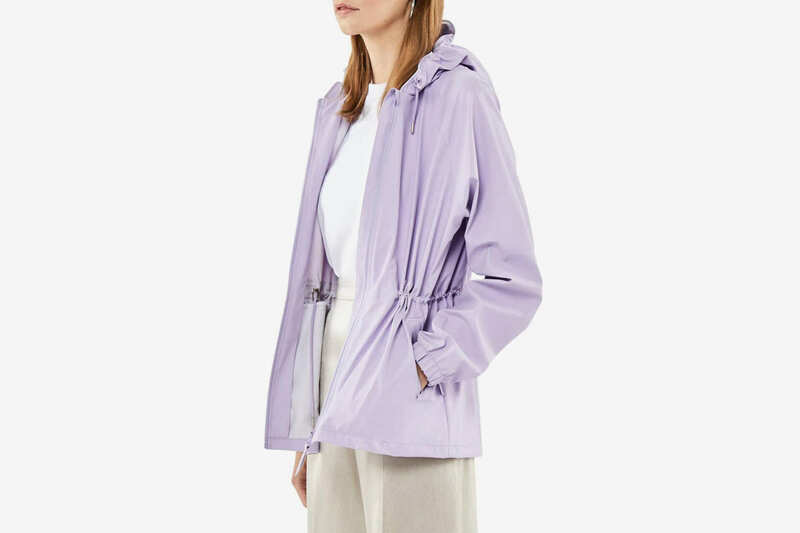 Because umbrellas tend to get lost, Connie Wang, senior features writer at Refinery29, switched to raincoats a couple of years ago, and likes this reversible Vans parka for summer storms. 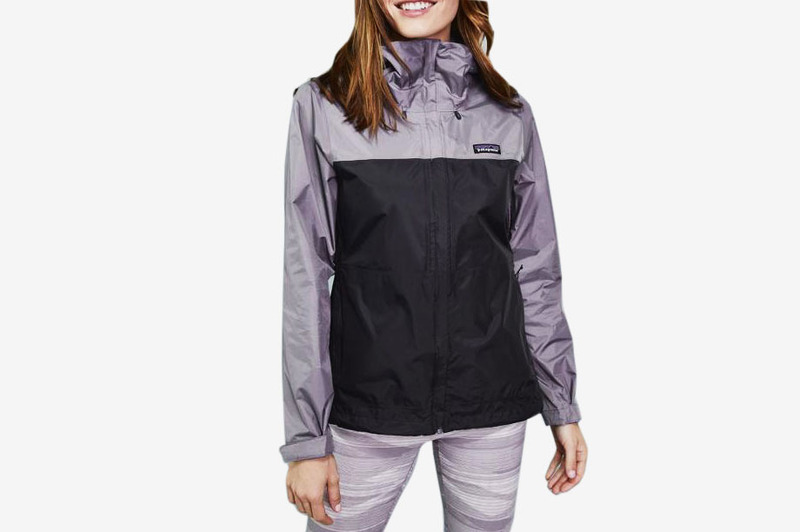 Hers is from a special collaboration between Vans and Eley Kishimoto. 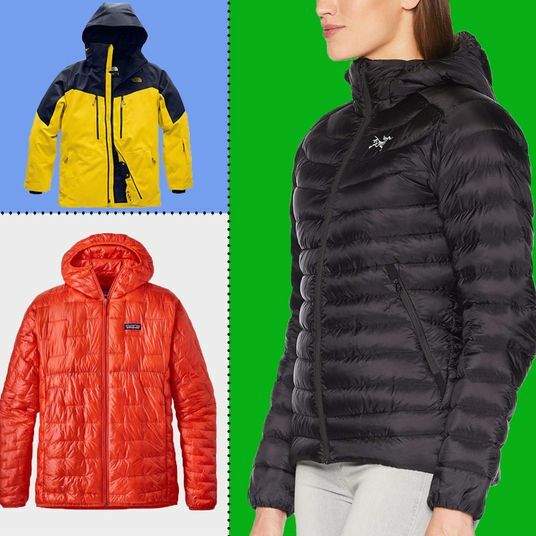 “It’s totally durable (won’t rip or peel or flake like some other nylon situations I’ve owned), and it’s reversible, which means double the fun,” Wang says. 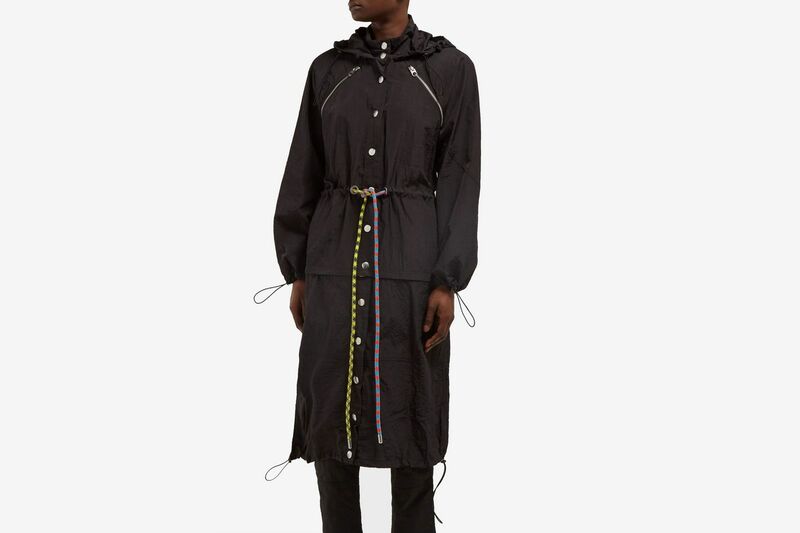 “The hood, too, is deep and stiff, and actually covers everything.” The coat’s only caveat is that it’s unlined, so “on the hottest days, I have to experience that sensation of my skin sticking to the plasticky sides of its own greenhouse,” Wang notes, though lined styles can be too heavy and sweat-eliciting anyway. 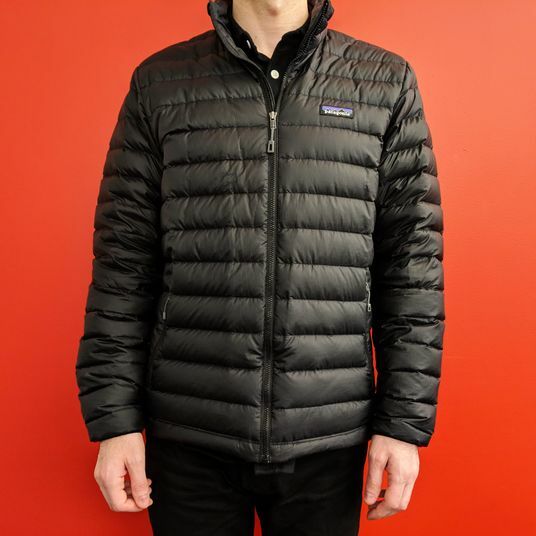 Glassman wore a Canada Goose Hayward shell jacket throughout a trip to Alaska, and calls it lightweight and perfect. 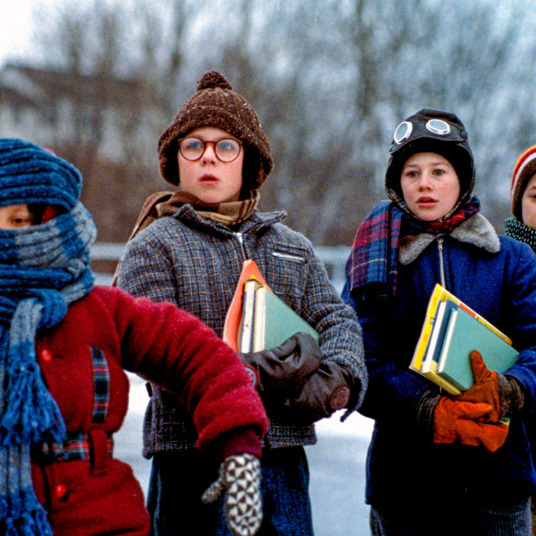 “Plus, it takes up almost no space in your bag for easy packing.” Once you’ve made it to your destination, it’s equally good for business-y things, or downtime. 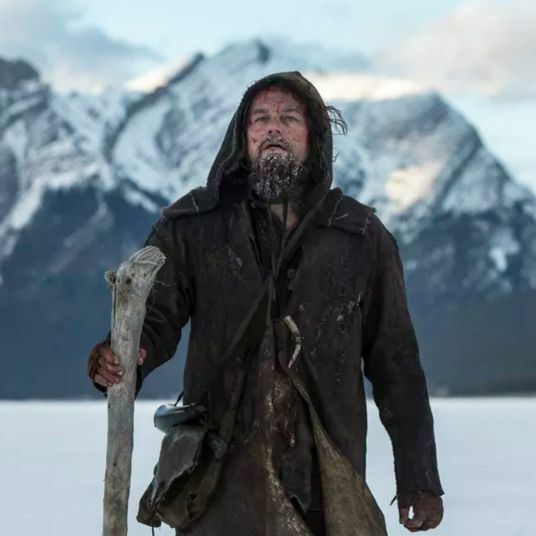 “It’s also long enough to work over a blazer for a work trip,” Glassman says. 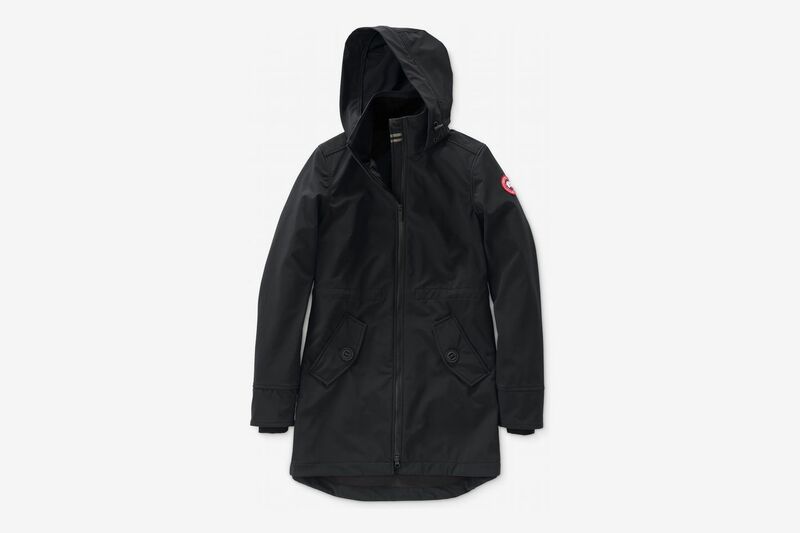 The Hayward isn’t widely available this season, but this Canada Goose water-resistant windbreaker for women checks all the same boxes. 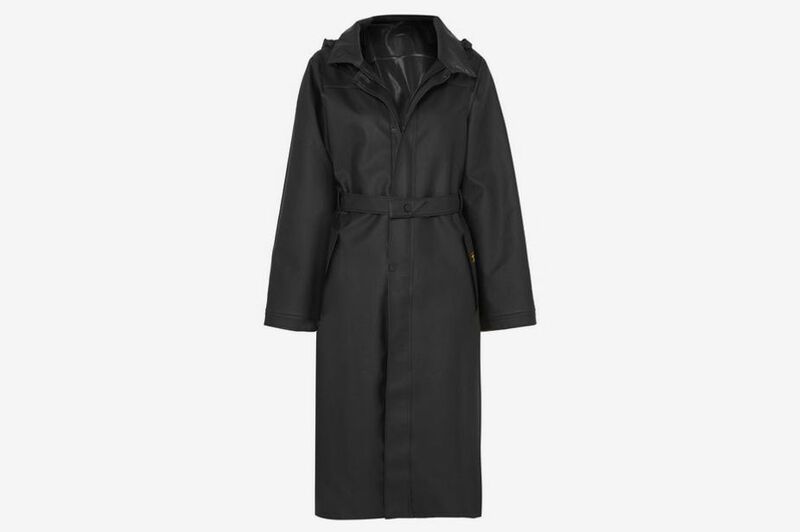 If you decide to handle the rain like a Brit, trench coats generally work in balmy weather, since they come with no insulation and cotton breathes. 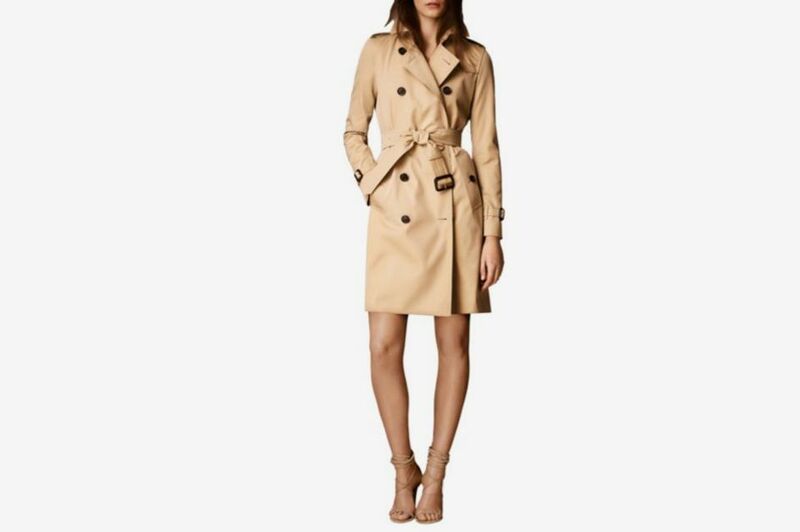 Everlane makes a killer Burberry alternative for women that comes with a storm flap and a weather-resistant finish. 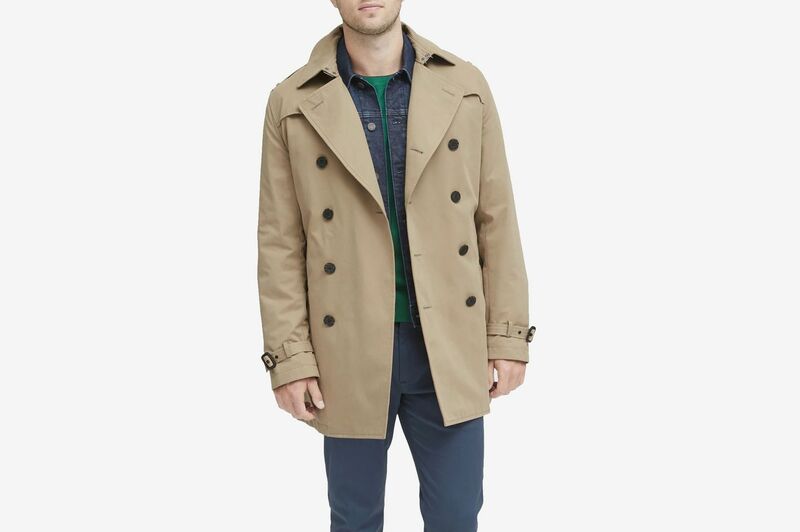 Another trench because it’s by Hunter, which makes boots and coats that can withstand monsoon-level downpours. 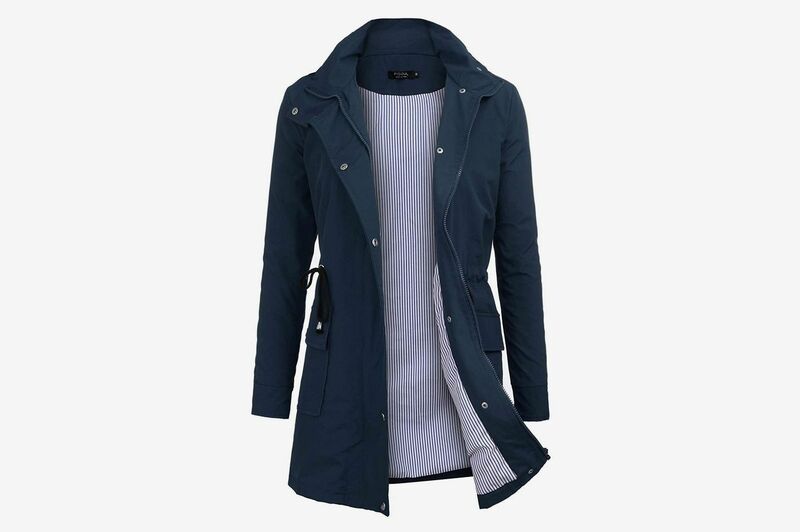 There’s zero reason every rain parka needs to be black, navy, or gray — which is why we like this sea-foam-colored piece, and the cinched waist gives it a nice feminine spin. 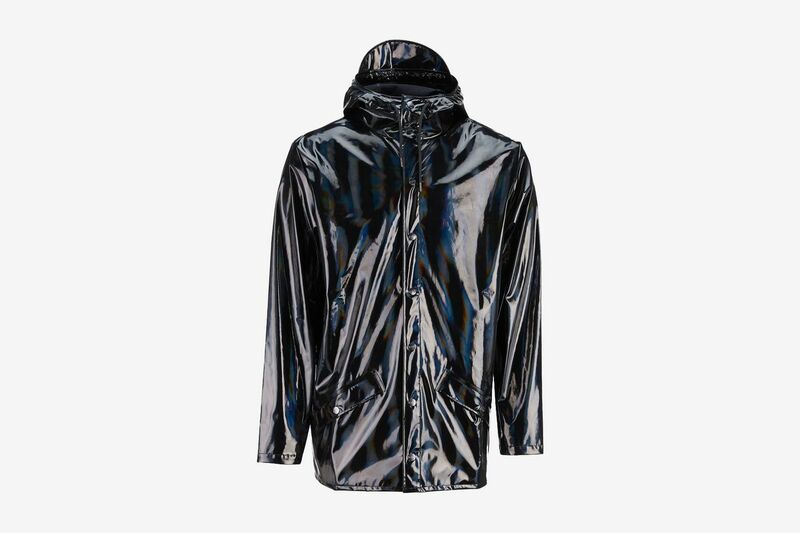 Transparent bags and see-through rain jackets are in. 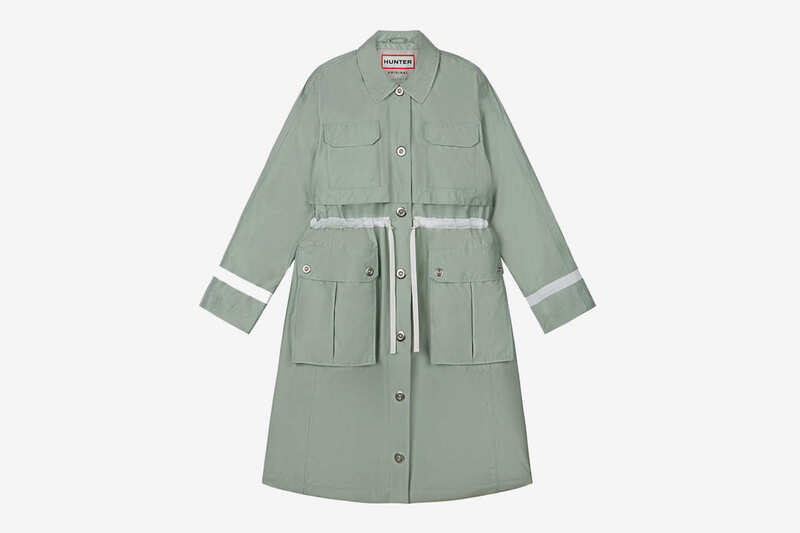 “The toggle cords give it a more modern take to your traditional raincoat,” says Caroline Maguire, fashion director of Shopbop. 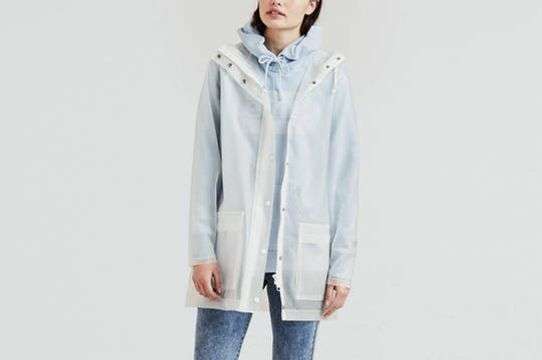 “I love that this raincoat is sheer, so you can still see your outfit underneath.” Try cinching the bottom of the jacket “to give it more shape; it’ll look like a cool anorak,” says Maguire. 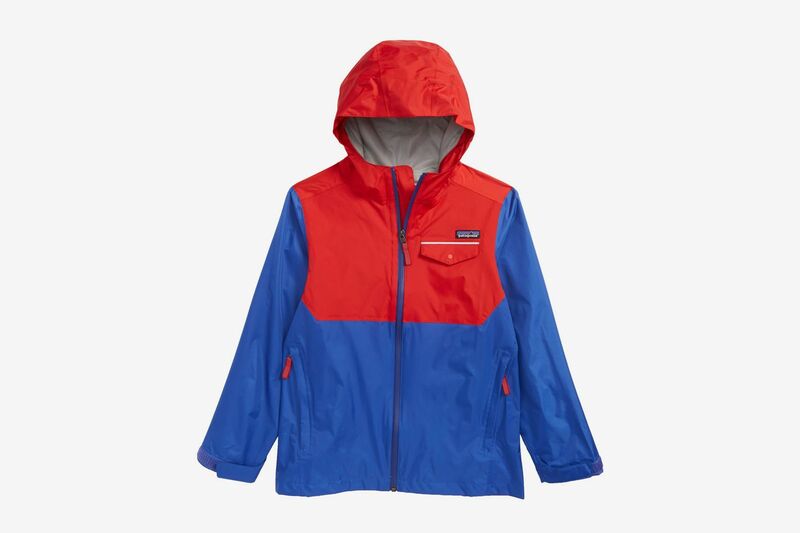 Slightly more opaque, but still translucent, pink and blue versions can be had at Nordstrom. 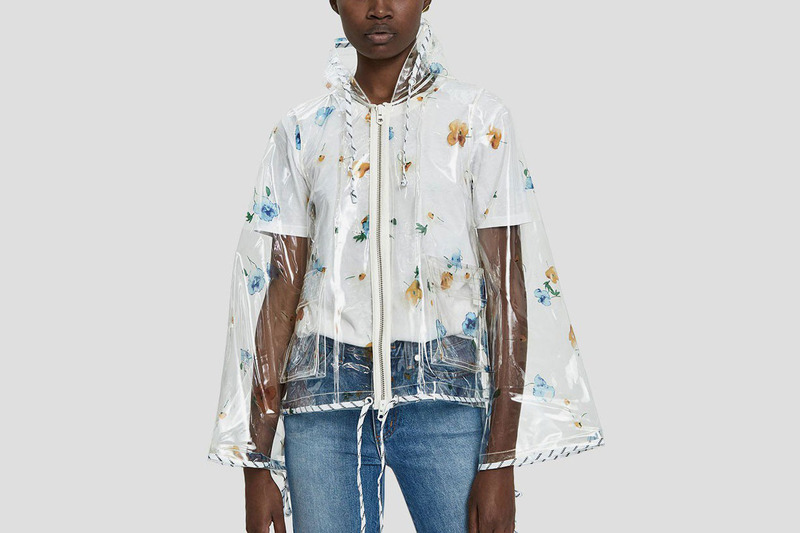 Stylist and designer Lindsey Shores recommends this bell-sleeved, translucent rain jacket from Ganni that has a floral pattern. 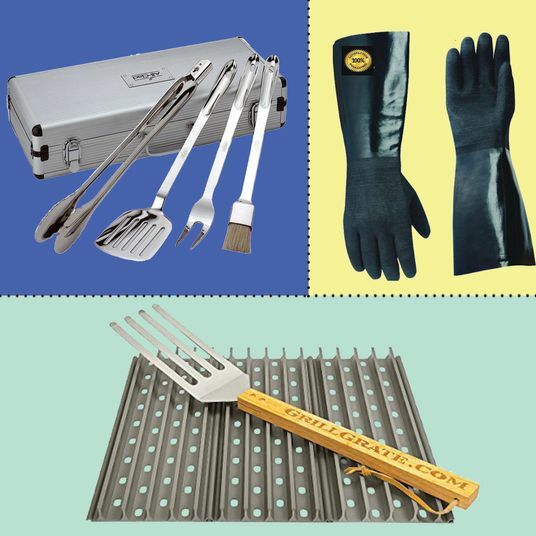 Plus, it’s on sale. 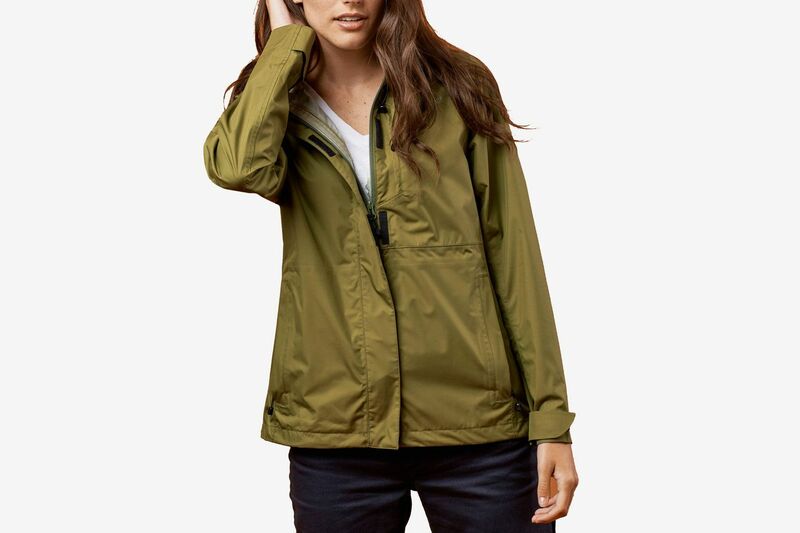 $126 at Need Supply Co.
“Last summer, I got caught in the kind of downpour that has 12 people huddled under the tiniest sliver of awning, and my friend — who is apparently a genius — had an extra Patagonia Houdini Jacket in his bag that he lent me,” says Erica Cerulo, co-founder of indie online retailer Of a Kind. 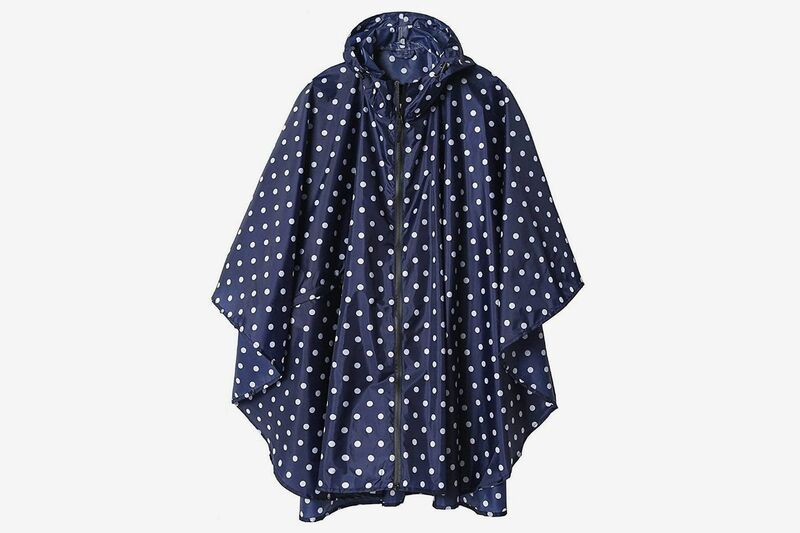 “I bought myself one basically the moment I dried off.” The extreme portability makes it easier to schlep around than an umbrella. 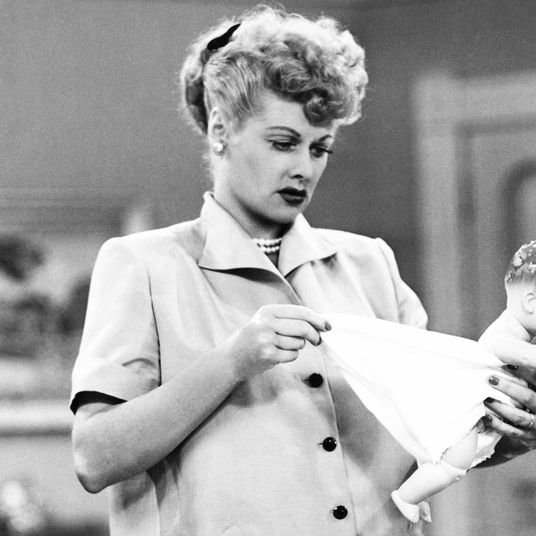 “It’s so light that it practically disappears when you fold it into its teeny pouch, hence its name,” Cerulo says. 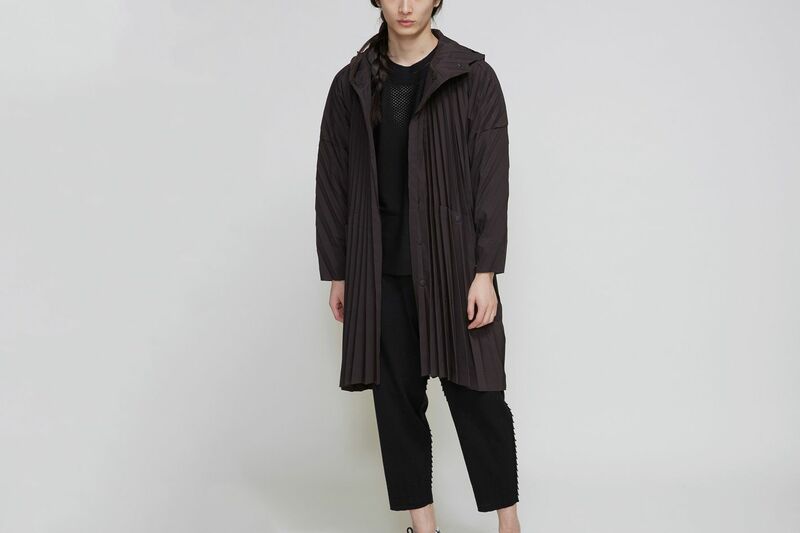 This unisex option from Rains, recommended by Shores, also comes in a dusty pink. 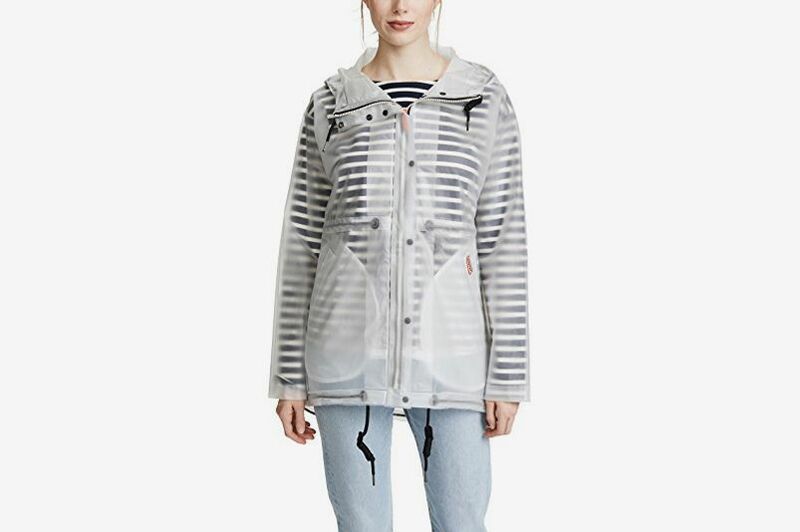 If you prefer an un-cinched rain jacket: fashion writer Jessica Schiffer recommends this clear parka from Levi’s.